If you are movie lover or addicted to watching videos, you’d know what it is to have videos on your phone all the time. Whether you want to watch videos offline or share them with your friends, you need to have them saved in your phone. As the smartphones become more and more trendy, they play a role of entertainment gadgets. Hence, easy video downloading has become a need for the users. 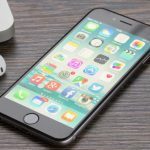 If you own an iPhone, here are three different methods you can opt to download YouTube videos to iPhone, iPad, so you can watch them whenever you want. This procedure is the standard method and quite easy too. In order to follow this method, you need an online file service for converting files. There are many of these software available over the internet. You can search for them and choose what looks like the best one to you. They help you download movies or videos from YouTube and convert them into a file format that is compatible with your iPhone. Many of these tools are extremely easy to use and help you convert videos in no time. For example, using www.zamzar.com. You just have to enter the URL of the video and choose the format you want the video to be converted into. Next, it asks you to enter your email address. Once you’ve entered your email address, just click ‘Convert’ and that is it! You will get an email that contains the link from where you can download the converted video. Download the converted video and transfer it to your phone. Other online services follow the same pattern more or less. The only requirements is an internet connection. You can use this method no matter which OS your computer contains. 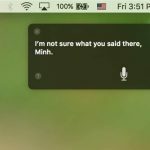 Some people do not prefer this long method and want to follow it entirely on their phones – this can be done as well. Use your browser to access any of these online services and save the videos directly to your phone. 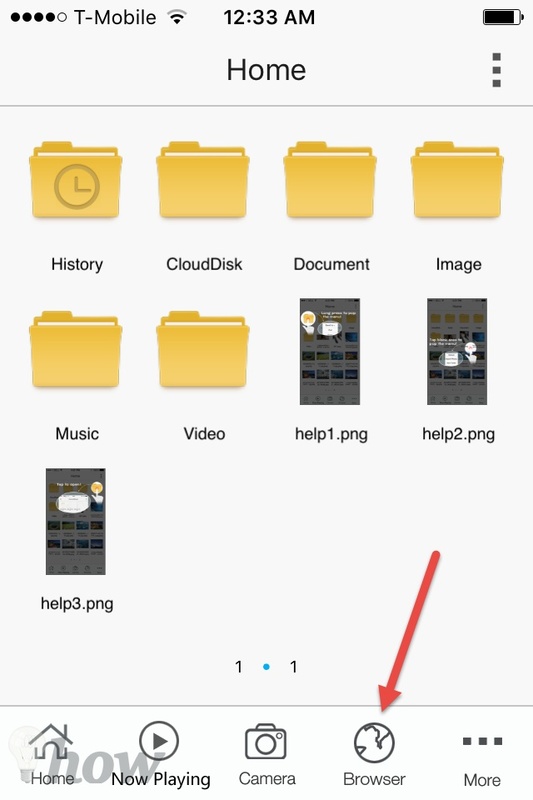 Once you have the link of the video, you will need a third-party file manager to download the videos to your iPhone. 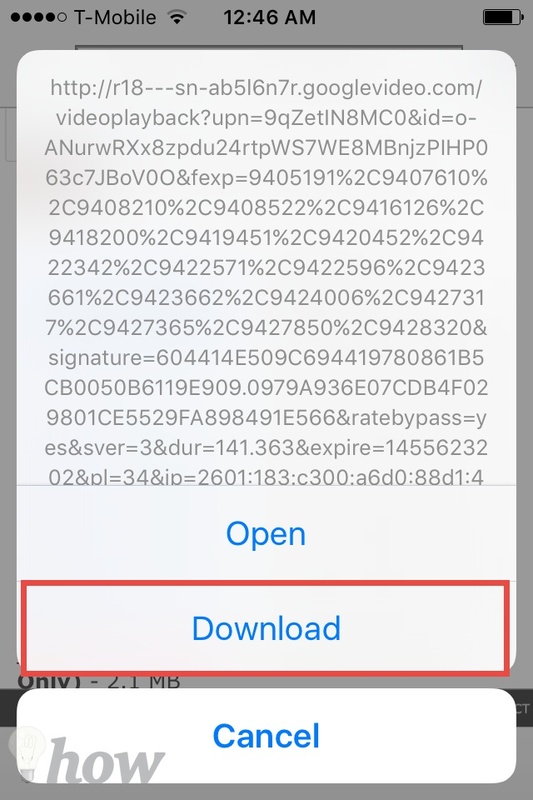 Safari doesn’t allow you to download the videos from other websites. One good example is the File Master which is absolutely free of cost and allows you to download videos from different websites such as YouTube, Dailymotion, Vimeo, and Vevo. 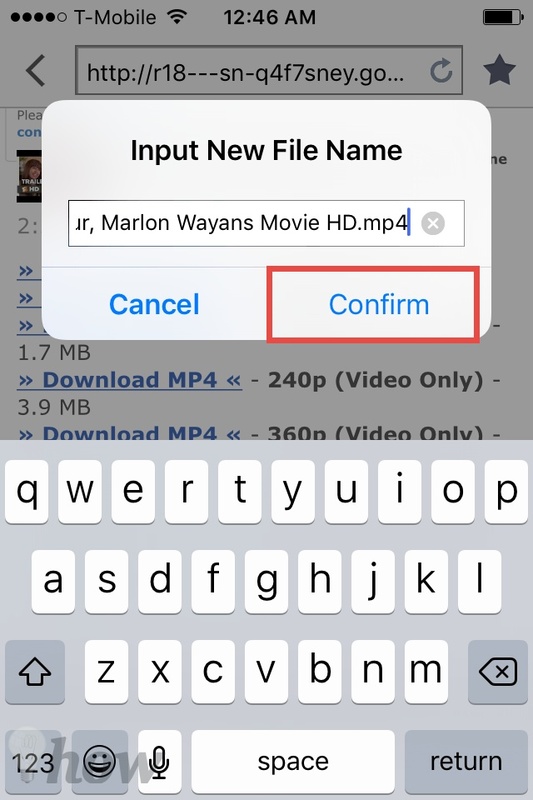 Here’s how you can download the videos using File Master on your iPhone. 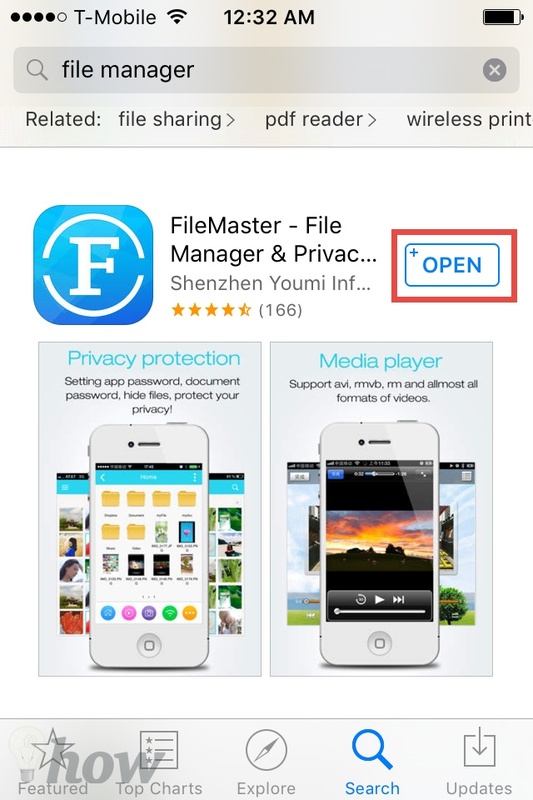 Download and install the File Master app from the iTunes Store, click here to get the latest version of the application. After installation, open the application and click on the Web browser. Now, go to the YouTube and search for the video that you want to download. On the top bar, click on the link and copy the link of that particular video. 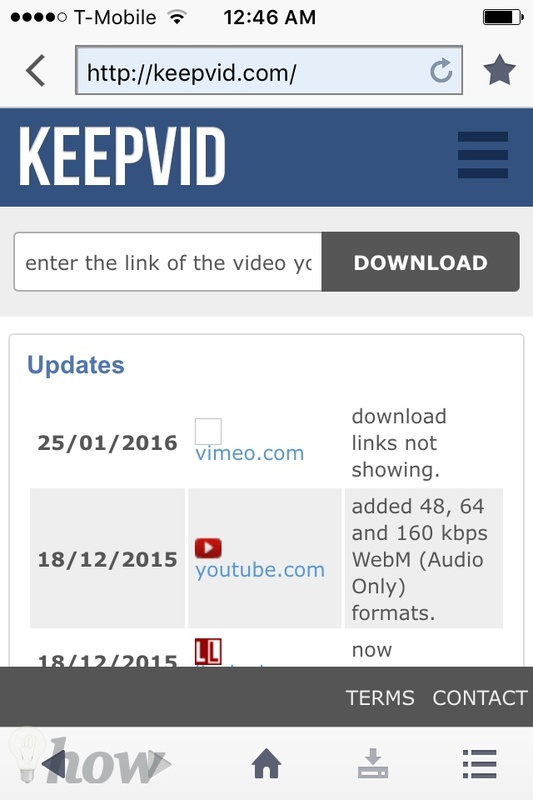 After copying the link, Go to the www.keepvid.com in the same browser and you will see a new search bar opened. Paste the recently copied link and tap on Download button. Now, it will show you all the formats and quality for that particular video. Select the appropriate video and click on Download button. A new dialogue will be opened asking you to open or download the video on your iPhone. On the next screen, write down the name of the video and hit the Confirm button. It will start downloading the video which may take some time depending upon your video. Once the downloading is finished, go to the Downloads folder, and here you will find your video. Click on the video to watch it in the offline mode. That’s it! You can download as many videos as you want. 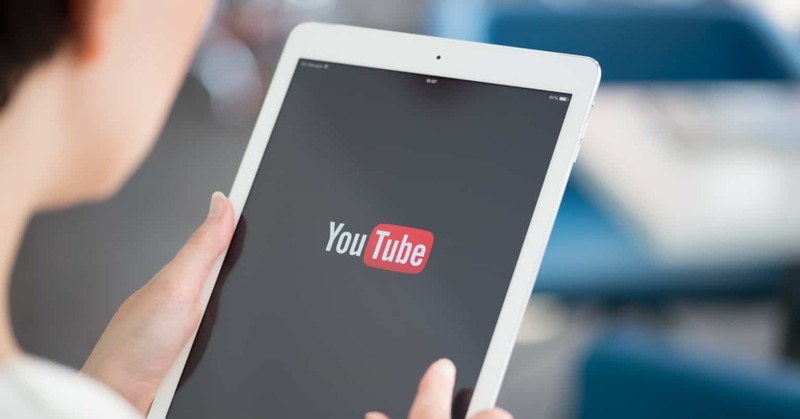 The third method to download YouTube videos to iPhone is by using desktop software such as Tooble, iSkysoft iTube Studio and MacTubes. They are free and contain features that help you convert and download videos without any hassle. These applications were specially built so that users can download videos from YouTube, convert them and then transfer to iPad, iPod or iPhone.The easy and user-friendly interface makes the process even quicker as you do not have to look for any options. On the other hand, iSkysoft iTube Studio provides the better way of downloading and converting the YouTube videos. Download the software from this link (For Mac or For Windows), and it also has a built-in web browser. Open the web browser and go to the YouTube video. Click on the Download button right above the video and it will automatically start the download process. 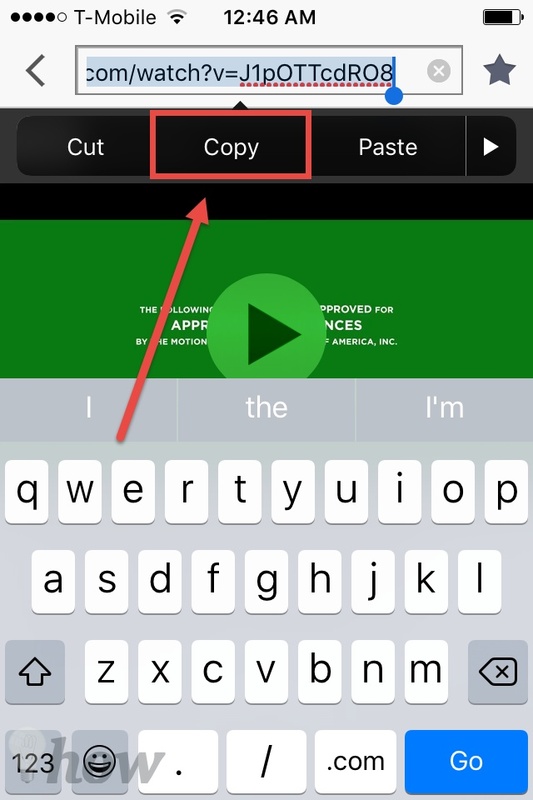 Once you have downloaded the video, click on the convert button to convert it to the iPhone format. 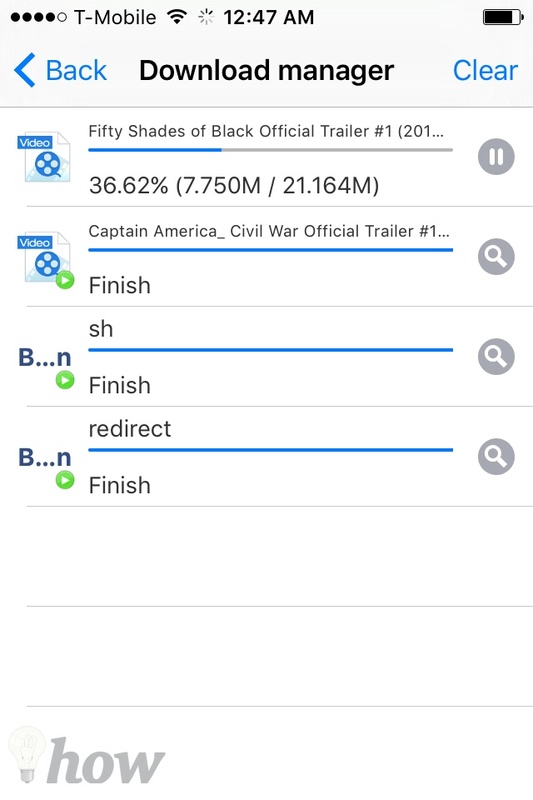 After conversions, the videos will be automatically transferred to the iTunes, and you can sync them to your iPhone. These software download YouTube videos on your hard drive which are then automatically imported into iTunes. Besides, you can synchronize iTunes with other Apple devices so that the videos that have been converted. The previous three methods may seem very hectic to you because they require you to use your computer first. You may be wondering if there’s actually any way to download YouTube videos on the phone directly. Perhaps the easiest method is to use apps that are available in the App store. There are numerous video conversion apps available that get the job done. Some of the most popular apps include iDownloader, Best Video Downloader, Video Downloader, Instatube and ProTube for YouTube. While all of them have their own pros and cons, they fulfill the task and have user-friendly interfaces that make the work easier. They allow you to search for videos on YouTube and choose the download option then and there. Most of the programs will even let you download the videos in the high quality. In a case of any problem, let us know in the comments section below. Update: Recently, most of the applications from the App Store have been removed due to copyright issues. However, if you have jailbroken iPhone, you can get different Cydia Applications to download the YouTube videos without any problem. You can download a complete playlist, selected videos from playlist and also even a complete channel. Just try TubeGeter for free. Enjoy the high definition videos on your HD TV, iPad, IPhone, Galaxy Edge and other devices.